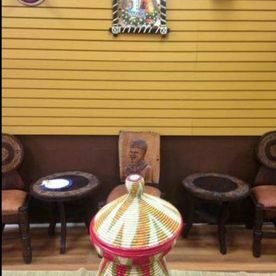 Come enjoy the exotic taste of Ethiopia in Toronto. 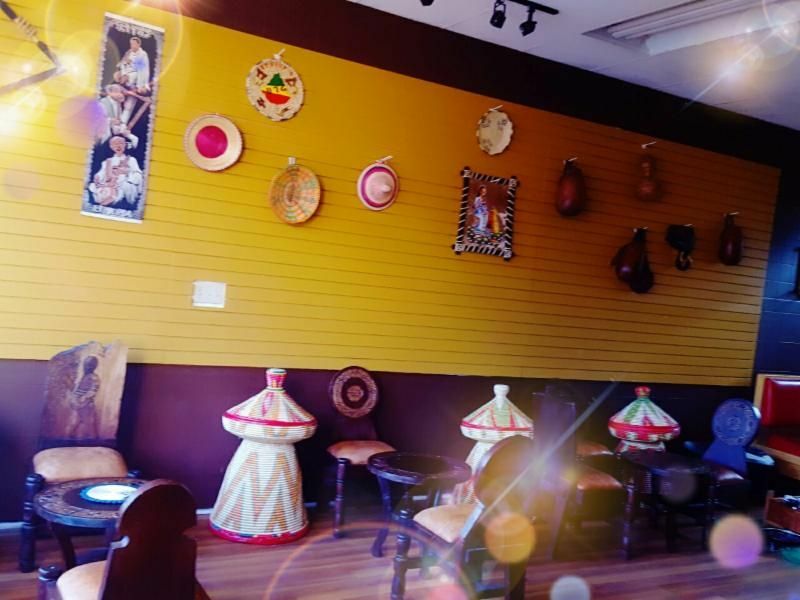 From the minute you walk into Ethiopia Restaurant, you’ll be surrounded by the sights and smells from back home. 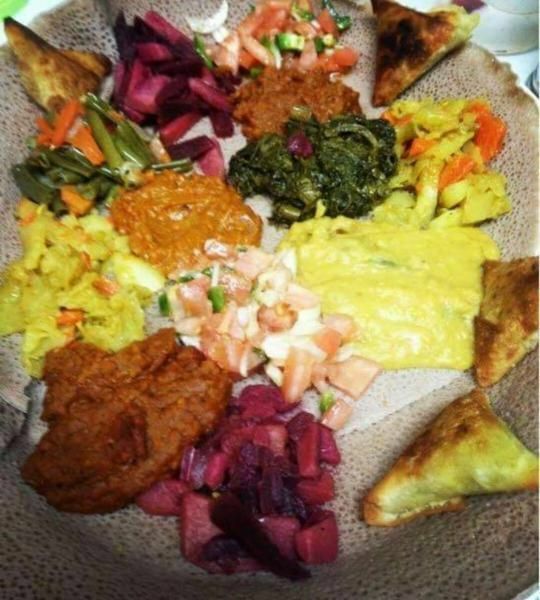 Our menu is full of delicious Ethiopian vegan options. 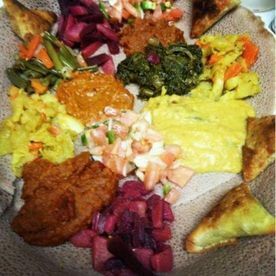 Enjoy our fresh injera and top it with some of our traditional dishes including: misir wot (a pureed split red lentil in red mild sauce), aterkik alicha (a split pea dish in light sauce), or even gomen (a kale or collard green cooked with traditional spices). End your meal with a traditional Ethiopian coffee ceremony. 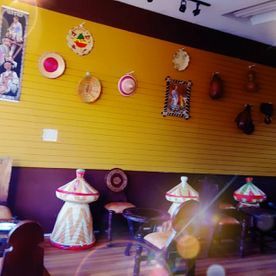 We use freshly roasted Ethiopian coffee beans that are ground, and brewed in a clay coffee pot called a “Jebena” and then served in special cups called “cini.” The Ethiopian coffee ceremony celebrates conversation and human relationships. 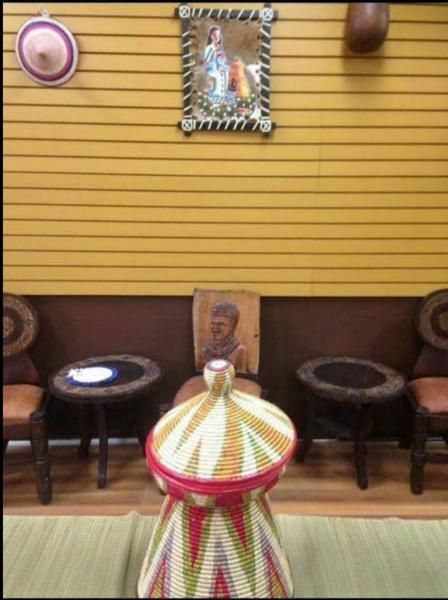 Come enjoy the traditions of Ethiopia at Ethiopia Restaruant on the Danforth. Call today to book your reservation.